The semi-rural location, just outside the town centre offers a wide range of affordable and comfortable family accommodation from camp and caravan sites, to cabins, Villas and budget rooms. We also offer corporate rates and pet-friendly sites. 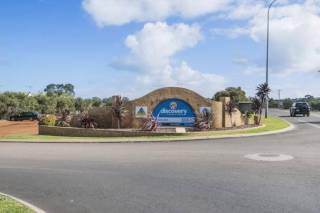 With fully equipped cabins and villas, our caravan park is your home away from home . After a day’s adventures, sit and relax as your children play on the jumping pillow, and later, take advantage of our range of facilities and enjoy a BBQ with friends. Wonderful ocean views and 66 steps you are on the beach! Short stroll to all that the CBD has to offer. 3 bedroom, 2 bathroom, beautifully furnished and immaculately clean villa. Fully self contained with linen provided. Secure complex with parking. Clifton Motel & Grittleton Lodge offers rooms of individual style and décore. From Executive suites with spa, to Superior and standard Rooms, every guest is offered warm personal service at all times, combined with the highest standards. 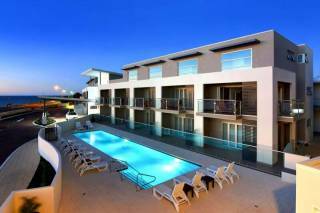 Bunbury Seaview Apartments provides modern, comfortable accommodation just 5 minutes from Bunbury CBD. 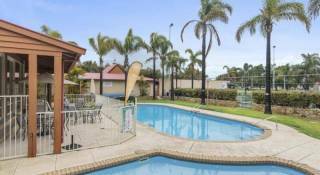 Our apartments have stunning views of Geographe Bay and range in size to suit single, double or family travellers.